Free high resolution photo of a bicycle leaning against a No Bikes sign. This picture shows a field next to a golf course. 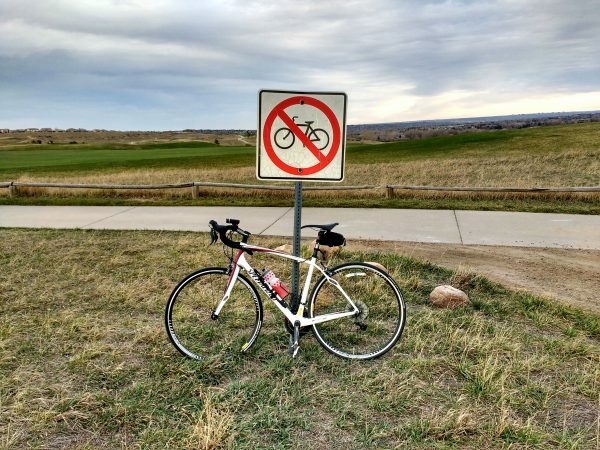 There is a sign indicating that bicycles are not allowed on the golf course, but there is a bike leaning up against the sign providing a bit of humor or irony. Free photo for any use.